Mountain modern design is a new term that refers to the architecture and decor of new high end mountain homes. To me these homes portray “outdoor luxury” while keeping a great sense of being home. The pleasing blend of natural to man-made makes the buildable properties available on the lake more than a dream. With a Lake Tahoe property that has lake views or is lake front you can bring the outdoors in and still be warm and cozy next to your fireplace. These new designs incorporate some unique differences from the typical floor plans seen. Bringing in Linear rustic structures make them very modern but using natural materials keeps it looking mountainesque. The formations reach up and out which bring a one of a kind silhouette. Large over sized windows and doors keep your connection to the natural surroundings Lake Tahoe properties provide. Entire walls of operable glass can produce beautiful lake views and being able to open them lets you breathe in the wonderful mountain air and the scent of the lakes natural foliage. These massive windows can lead onto a beautiful patio or deck thus the reason for increased demand of outdoor fire features. These features can grow from a natural rock base and be modernized with an iron, rustic detailed cover or screen. These release extra heat while the fire is on and a beautiful, unlike any other design while off. Keeping a low maintenance landscape is ideal for a vacation home using plants that don’t need a lot of water and using more boulders around the home are just another key feature of mountain modern designs. Inside the décor should stay modern to contrast with the mixed textures and materials used on the foundation of the home. Staying with natural tones such as browns, taupe, cream or grays keeps it looking strong but soft against your woods and stones. Using creative lighting is yet another feature of these homes allowing soft but large amounts of light creating a warm personal feeling. Now may be the time to purchase a lake view property so that these gorgeous design opportunities can become your new Lake Tahoe home. We have parcels we would enjoy getting your Lake Tahoe dream home on. If you would like to view these properties and receive more information please call or email Kelly Smith at 800-892-8821 or kel@ltol.com. Also to see all the Lake Tahoe MLS listing please visit our website at ww.realestate-laketahoe.com. 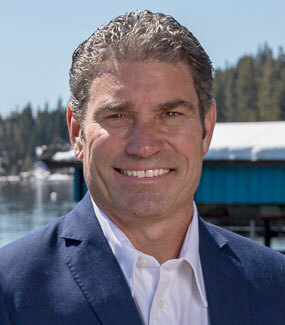 We look forward to your getting you into your future Lake Tahoe dream home! Click through the above photos for a slideshow of Mountain Modern Design homes to get ideas. I’ve always wanted to get a home in the mountains. It’s amazing that there are such interesting modern designs in mountain homes! It would be a lot of fun to live in a modern style home out in the wilderness.